The spacey psychedelic sound of The Lemon Fog never sounded better with all their singles, previously unreleased outtakes, and complete version of “Summer”, all from the original master tapes. Hailing from Houston, Texas, The Lemon Fog blew many minds during 1967-68, quickly becoming a popular draw at the local Houston hot spot, “The Living Eye”. Their first single “Theme For The Living Eye” (changed to “Lemon Fog” upon release) was a psych-pop flower power masterpiece released in the winter of 1967. The b-side “Echoes of Time” was nothing short of brilliant, reminiscent of the British psych scene. 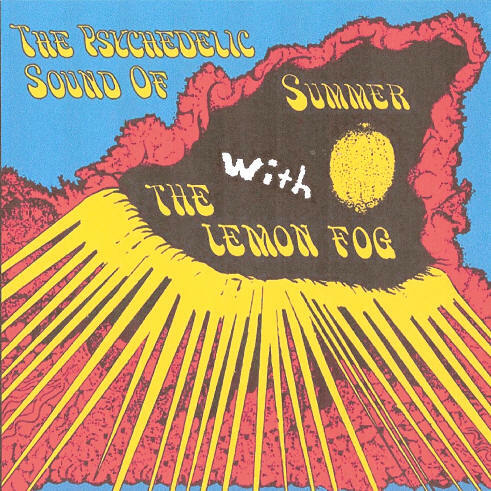 In June, 1968, the second Lemon Fog single, “Summer”, was released and remains the signature track of the band with its moody and introspective sound, unusual for a summer themed song. “Summer” should have been a number one hit. The Lemon Fog’s third and final single, “The Prisoner” and “ Day By Day” was released in November 1968, but also failed to chart. The surreal lyrics and tight playing of The Lemon Fog obfuscate the fact that the members were in high school when these sophisticated psychedelic masterpieces were recorded.